Need help launching your coworking space? From location anlysis, business modeling, to staff training. We can help you launch your next coworking space. Community managers are the frontline problem solvers, the sales person, events, marketing, and the builders of the community. By working with Denver Coworks you’ll learn from experienced community managers in an intense three day training sessions that prepares your staff to run your new space efficiently, develop a sales strategy, and build an engaged community. This is a three day session that can be completed in half days throughout the week or three full days. Denver Coworks’ consultants are not only coworking entrepreneurs but also MBA graduates and experienced market researchers. They have worked on over 30 commercial real estate projects involving coworking. They know what are strong indicators of a coworking opportunity based on the demographics, the coworking adoption level of the region, competitive landscape, and the culture of the economy. Let our researchers help find a future location or evaluate a building. We can then help you build out a business model that balances your goals for the community and your financial outcomes based on realistic results. Space Design: We are more than architects and designers. We are different than architects and designers, we are users. We know that most large conference rooms are a waste of space. We know how many phone booths are needed. We can tell you how much shared space is needed versus private offices. We have coworking entrepreneurs that have designed, managed, and worked in a variety of coworking spaces. We can help you develop a floor plan that meets the current demand trends of today’s marketplace that are creative and collaborative. Do you just want to have a free for all coworking conversation with a consultant? We will have an honest 2 hour conversation with you where you can ask us anything. Price: $300. 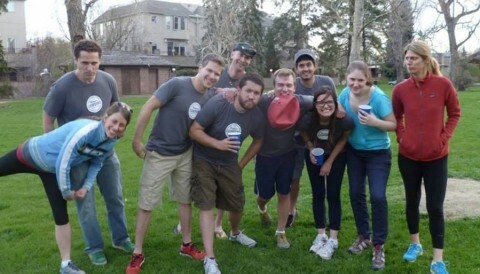 We have a few participating Denver Coworks’ spaces that are starting to franchise. Please reach out to learn more. Learn from people with experience. How can we help your space?